Joe Zuniga is an award-winning singer, songwriter and book author based in Tampa, Florida. The main purpose of his visit in Europe was his freshly published book Debra LaFave — A Crown of Beauty for Ashes. The book tells a real-life story of a young American female teacher who unfortunately ended up in bed with her 14-year-old student. The incident took place in 2004 and sparkled an international debate about sexual assaults at school. Joe explains that he wanted to tell a factual complete picture story about Debra’s life leading up to her situation with her student, including her personal writings and thoughts and where she is in her life currently. It’s unbiased and leaves it up to the reader to come up with their own conclusions or judgement. Just as every coin and just as every story, this one also has two sides. His intention in writing the book was not to subject Lafave to more attention and criticism but to expand his audience’s knowledge about the rest of her life now that she has grown emotionally and spiritually. Apart from being a successful writer, Joe does pretty well in the music business. His childhood dream of having a band and performing in front of crowds came true. In 2012, he became the first in Florida to be nominated for a Tejano Music Award and also won a Tejano Globe Award for his first single. He was also a finalist on the international Latino talent show Tengo Talento Mucho Talento. Since then, Joe has traveled and performed at various venues throughout the country and has won other Regional Mexican music awards. Joe has also received degrees in business management, economics, and political science, studied business innovation in Europe, and launched his company Zuniga Marketing, Inc. He has a pretty holistic profile and multitasking is an integral part of his daily life. 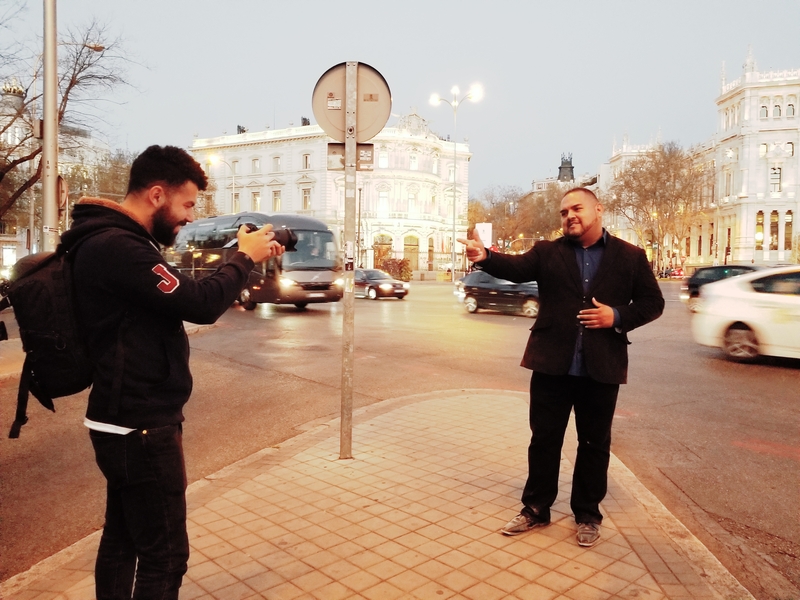 In Spain, apart from signing his book all over the country, he also managed to shoot a new music video for his song with the title ‘Si Quieres’. Not a bad schedule for a one-week visit! You can find Joe on Spotify and social media, and of course search for his book on Amazon. His official website: www.joezuniga.com. A secret? He really loved Spain and promised to be back soon.